In the 1870s, just before the coming of the railway and European settlement, English adventurer William Butler trekked the Canadian prairies, knowing what he called “The Great Lone Land” was soon to disappear as a remote and unsettled territory. The quote from his book is on a plaque at the site where I took the lead image, Sunset Point at Writing-on-Stone Provincial Park. The night was near perfect, with the Milky Way standing out down to the southern horizon and the Sweetgrass Hills of Montana. 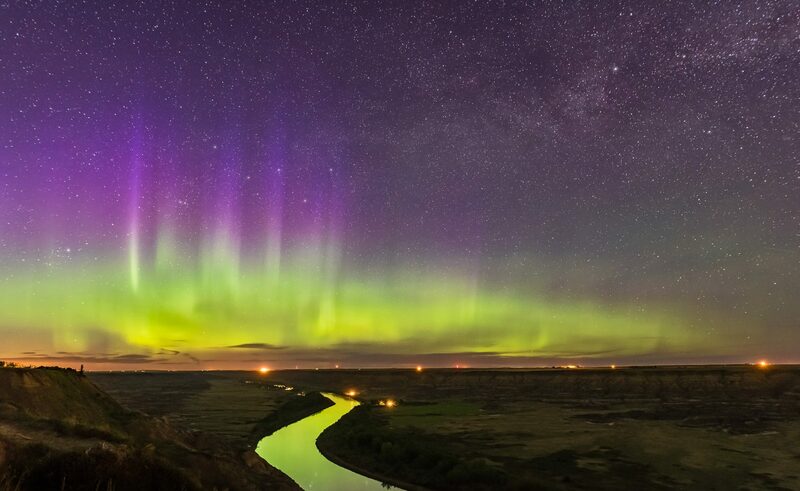 Below, the Milk River winds through the sandstone rock formations sacred to the Blackfoot First Nations. 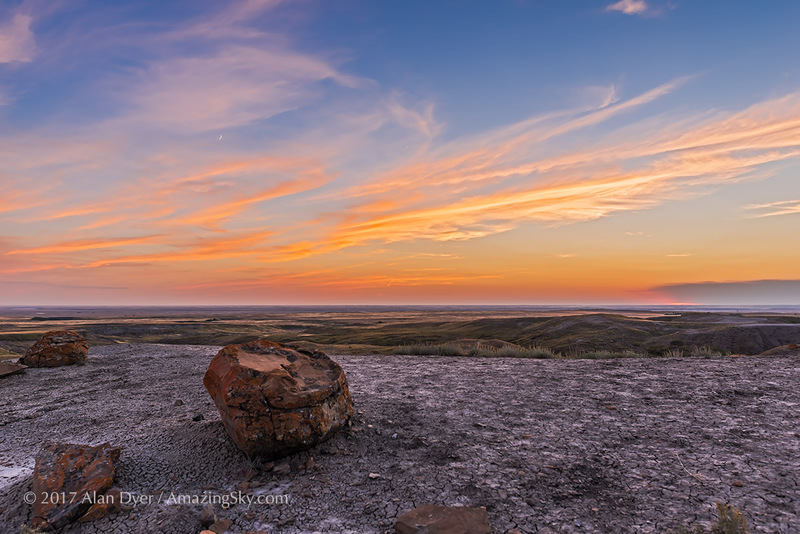 The next night (last night, July 26, as I write this) I was at another unique site in southern Alberta, Red Rock Coulee Natural Area. The sky presented one of Butler’s unmatched prairie sunsets. This is “big sky” country, and this week is putting on a great show with a succession of clear and mild nights under a heat wave. 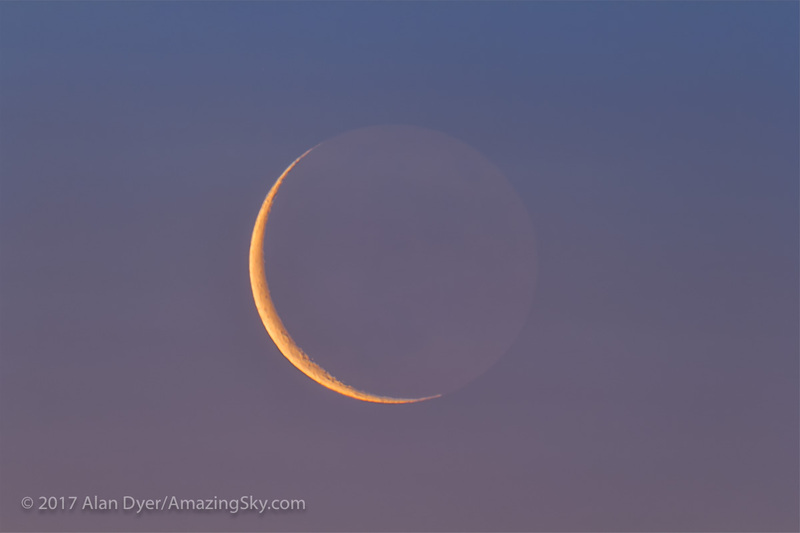 The waxing crescent Moon adds to the western sky and the sunsets. But it sets early enough to leave the sky dark for the Milky Way to shine to the south. 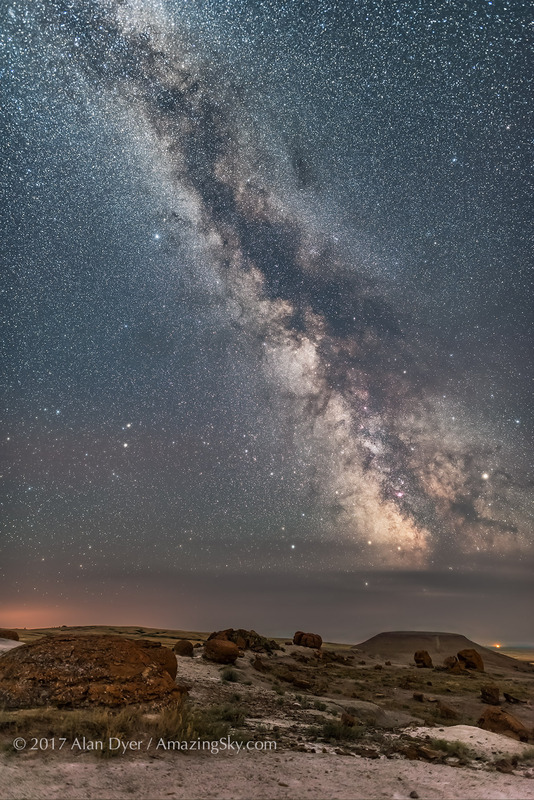 This was the Milky Way on Wednesday night, July 27, over Red Rock Coulee. Sagittarius and the centre of the Galaxy lie above the horizon. At right, Saturn shines amid the dark lanes of the Dark Horse in the Milky Way. I’m just halfway through my week-long photo tour of several favourite sites in this Great Lone Land. Next, is Cypress Hills and the Reesor Ranch. The summer Full Moon arcs low across the southern sky, mimicking the path of the winter Sun. This is a project I had in mind for the last month, and hoped to capture at the July Full Moon. A clear, dry, and cooperative night provide the chance. The still images are composites of 40 images of the Moon traveling across the sky from dusk to dawn, taken at 10-minute intervals. 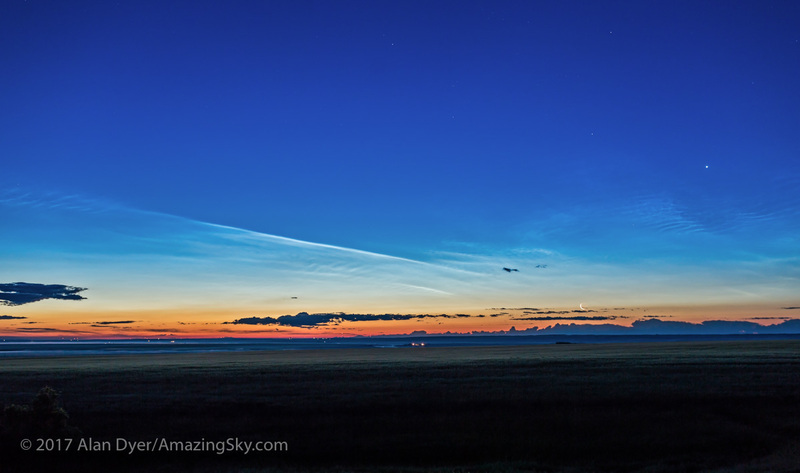 They are layered onto a blend of background images of the 10 p.m. dusk sky (left), 2 a.m. middle-of-the-night sky (middle), and 5 a.m dawn sky (right). As a bonus, the 10 p.m. sky shows some dark crepuscular rays in the twilight, while at 2 a.m. the Moon was in light cloud and surrounded by iridescent colours. By 5 a.m. denser clouds were moving in to obscure the Moon. I shot the still image composite (above) and time-lapse movie (below) to illustrate the low arc of a summer Full Moon. In summer (June or July) the Full Moon sits at a similar place near the ecliptic as does the Sun in winter near the December solstice. From the northern hemisphere the low position of the winter Sun gives us the short, cold days of winter. In summer, the similar low position of the Full Moon simply gives us a low Full Moon! But it is one that can be impressive and photogenic. 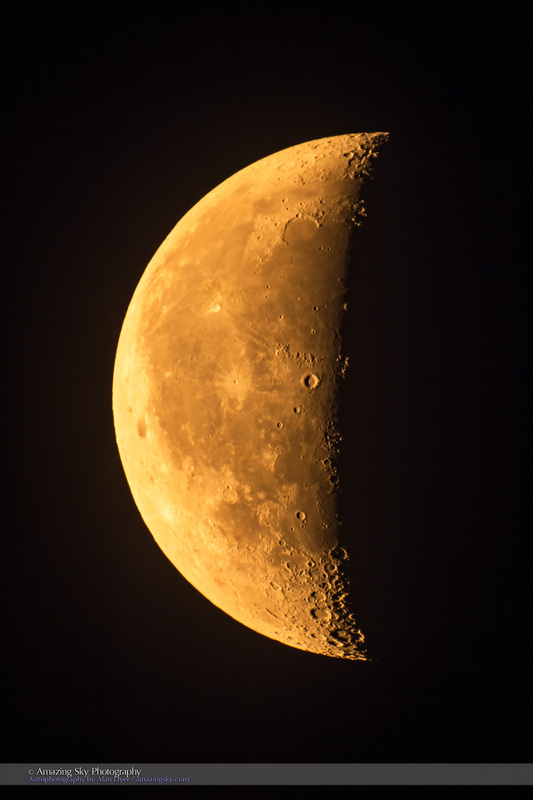 The time-lapse movie uses all 400 frames of the moving Moon superimposed onto the same background sky images, but now dissolving from one to the other. The movie is 4K in resolution, though can be viewed at a smaller resolution to speed up playback if needed. 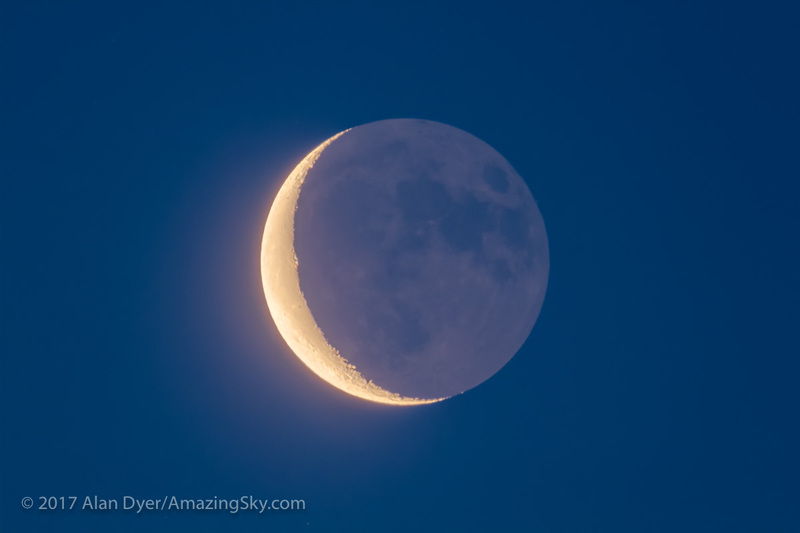 The Moon disks in the time-lapse and still composite come from a series of short 1/15-second exposures, short enough to record just the disks of the bright Moon set against a dark, underexposed sky. I took these shots every minute, for 400 in total. They are blended into the bright background sky images using a Lighten blend mode, both in Photoshop for the still image, and in Final Cut for the movie. The background sky images are longer exposures to record the sky colours, and stars (in the case of the 2 a.m. image). They are blended with gradient masks for the still image, but dissolved from one to the other in the time-lapse movie. I shot the frames with a 15mm full-frame fish-eye lens and Canon 6D, with the camera not moved during the 7-hour shoot.